Such sad news! 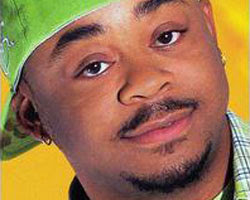 MC Breed passed away yesterday (Sat. Nov 22, 2008) at the age of 37. In September, Breed was hospitalized and placed on life support when his kidneys failed during a pick up game of basketball. Thanks for the memories, Breed! Click here to listen to Breed's last interview with Allhiphop.com's, Chad Kiser and Jonathan Hay. Wanda Sykes Comes Out & She Has a Wife Too. Beyonce SNL Parody- In Case You Missed It.